Free and open to the public, visit the USC booth at the Univision Health Fair on the campus of East Los Angeles Community College, where visitors can receive information about careers and training programs in the growing field of biotechnology and the health-related professions. Information about and representatives from USC Norris Comprehensive Cancer Center, USC Viterbi School of Engineering, Herman Ostrow School of Dentistry of USC, and USC concurrent enrollment programs will be available on site. Dr. Rene Sotelo of Keck Medicine of USC will speak about advice for patients and families about staying in good health, and advice for young students interested in careers in health, medicine, and biotechnology. Rene Sotelo MD is one of the most expert and experienced laparoscopic/robotic surgeons, of international renown. Hailing from Latin America, he is a pioneer in robotic surgery for complex urinary fistulae in females and males, benign prostate enlargement and inguinal lymph node dissection for cancer. He has helped develop the novel concepts of single-port “belly-button” and natural orifice surgery. 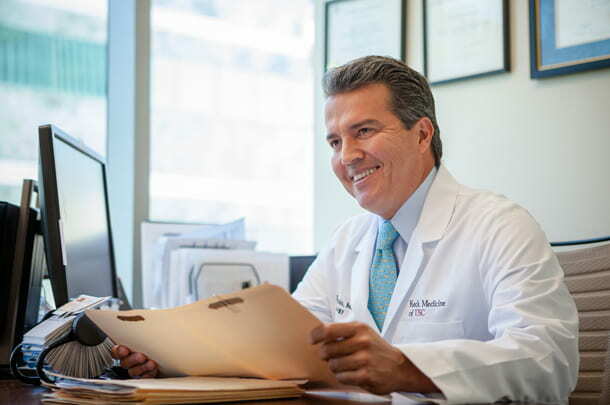 Dr. Sotelo’s experience with advanced robotic and laparoscopic surgery exceeds 2,300 personal cases, making him among the most experienced in the world. Visit the USC Calendar of events for a map and handy calendar tools.